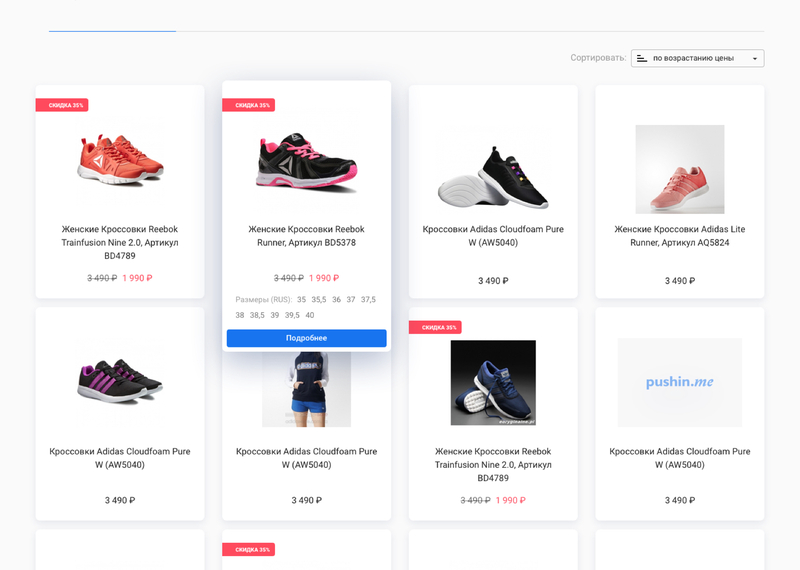 Vk-Pokupki is a purchase service for the Russian market that makes group buying (aka collective buying) easier and more profitable for each consumer participating. The group buying market is growing rapidly in Russia nowadays. 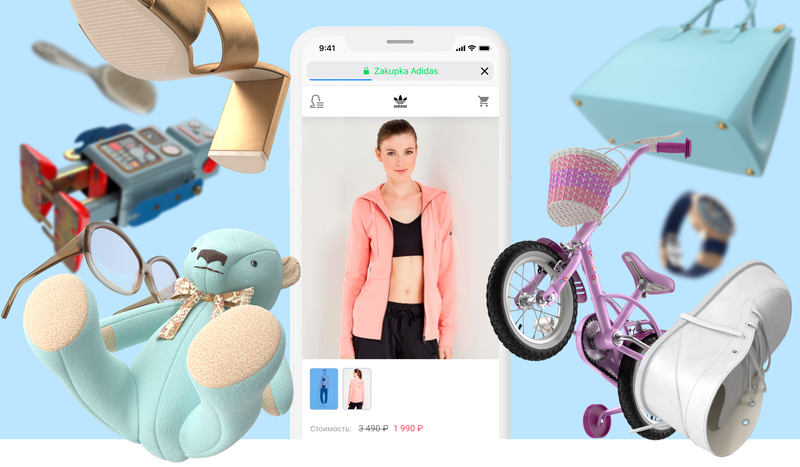 However, the process of group buying presents such challenges as a lack of a centralized database to handle the orders for moderators as well as a confusing usability for customers. 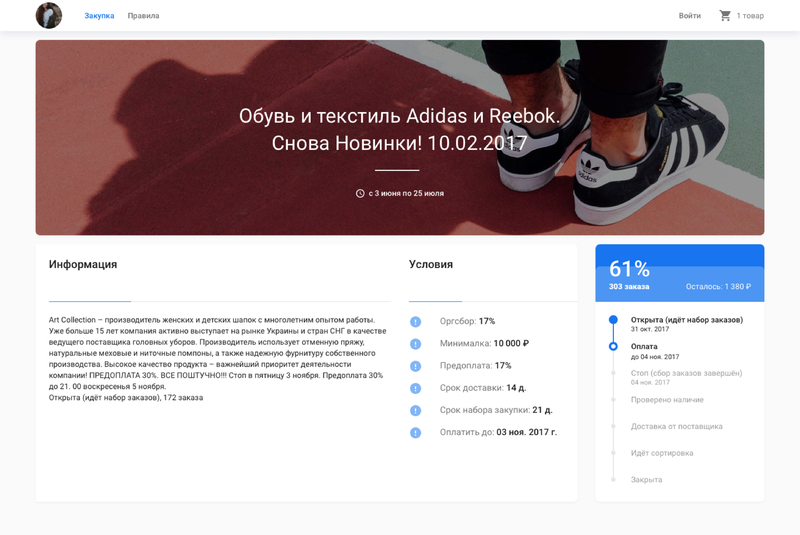 Building a web-service that would help both moderators and consumers simplify and centralize the process of purchasing collective products on the most popular Russian social network called Vkontakte. 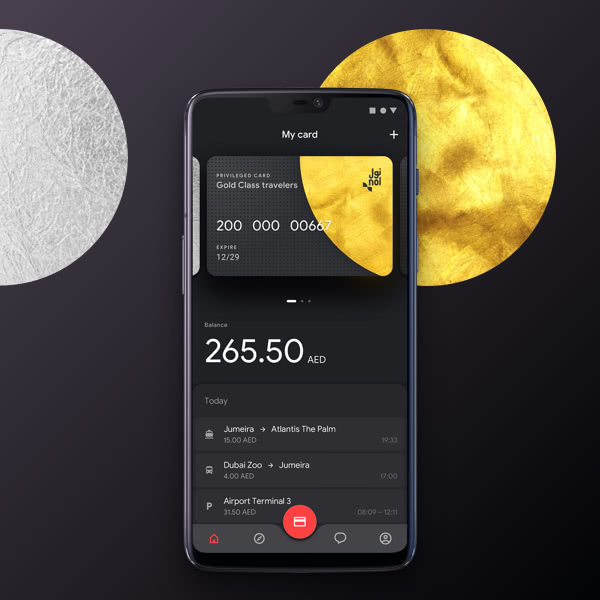 The project was initially perceived as an MVP so its main purpose was to enter the market and get users’ feedback. In order to get started, we divided the project into two parts: backoffice and front office. The front office should allow customers to select the items they would like to purchase, fill out a form to participate in a group buying, and track their order statuses. Backoffice, in the meantime, is focused on helping group buying moderators. 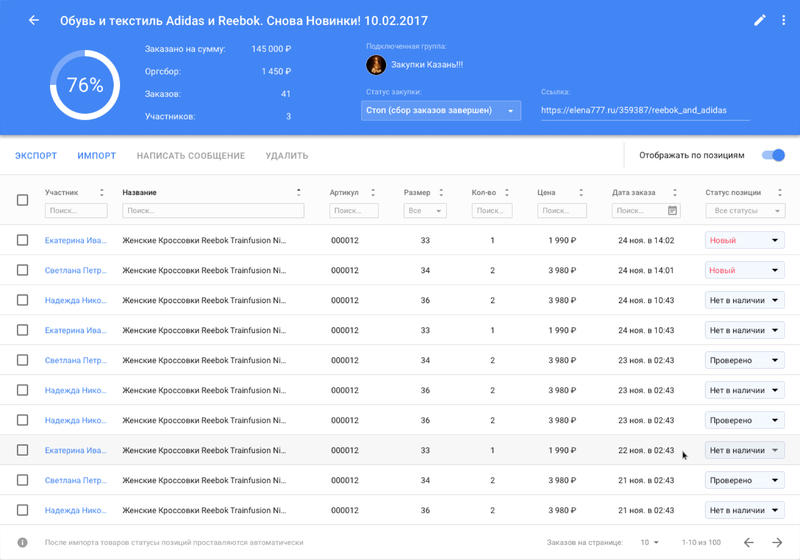 It makes it easy to create and edit orders, track applications and change their statuses, as well as send newsletters for the group buying participants. When working on the front office, we needed to ensure that the traditional process of making group buying purchases remained the same. 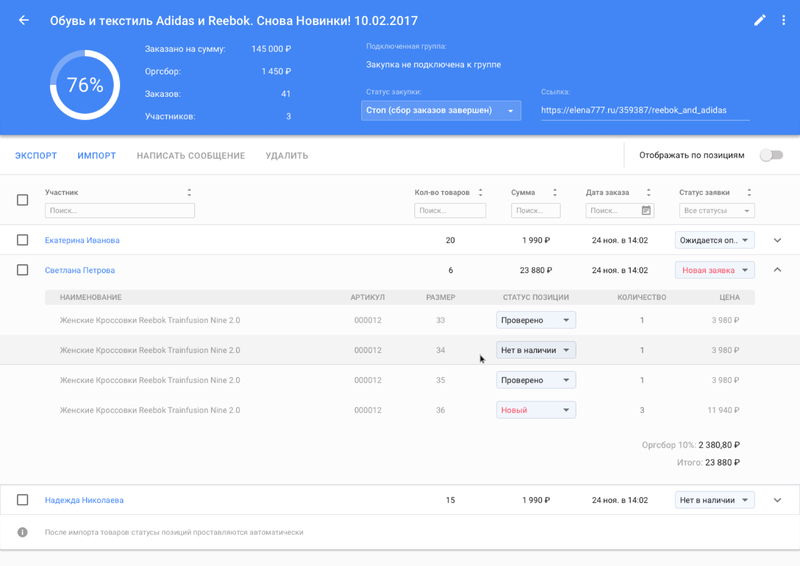 Our goal was to keep a typical user experience for this kind of purchasing process whereas making it more pleasant and easy. The purchase page is displayed as an infinitely scrolling list of all the items available. 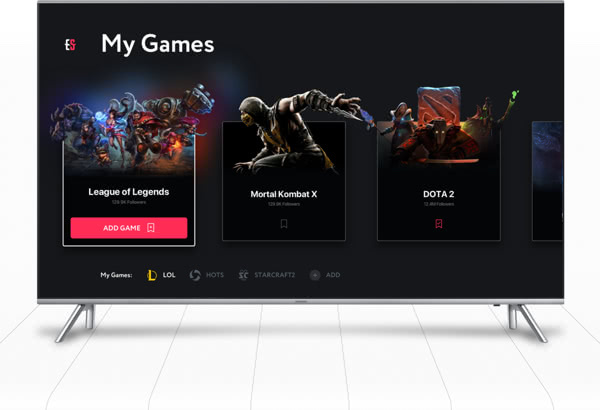 The upper part of the page contains detailed information about the terms of participating in the group buying deal as well as its time scope and current status. When a user opens the basket, he/she gets yet another notification about the terms of the group buying deal and the time scope. Therefore, the user is well aware of how the process works and the dates of the delivery. One moderator is usually responsible for handling several group buying deals with each of those including hundreds of participants at the same time. This is a hard work to do and our backoffice was structured in a way that would make it easier to manage. 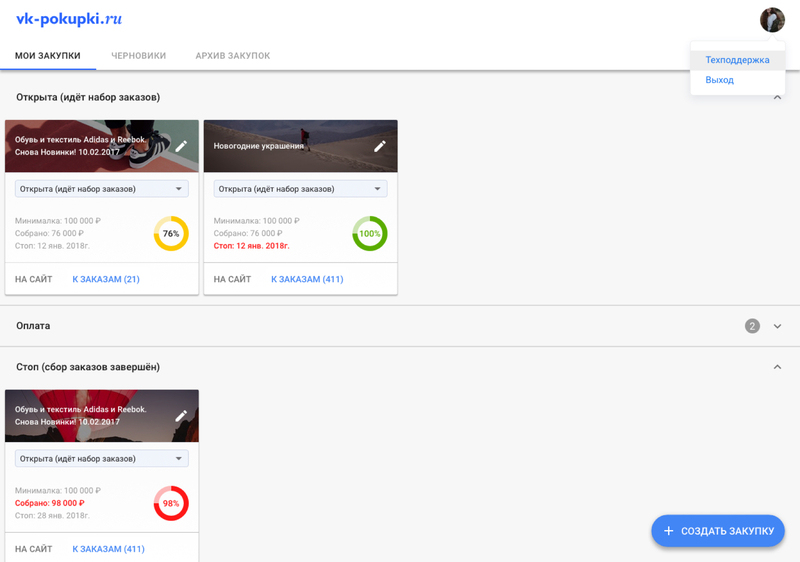 We decided to make the backoffice design as simple as it was only possible so instead of creating a flawless design, we focused on enhancing the usability for the moderator. In order to once again clarify the statuses of the deals, we created a dashboard that visually resembled Kanban board. One of the most challenging tasks for a moderator is filling out the Items catalogue. 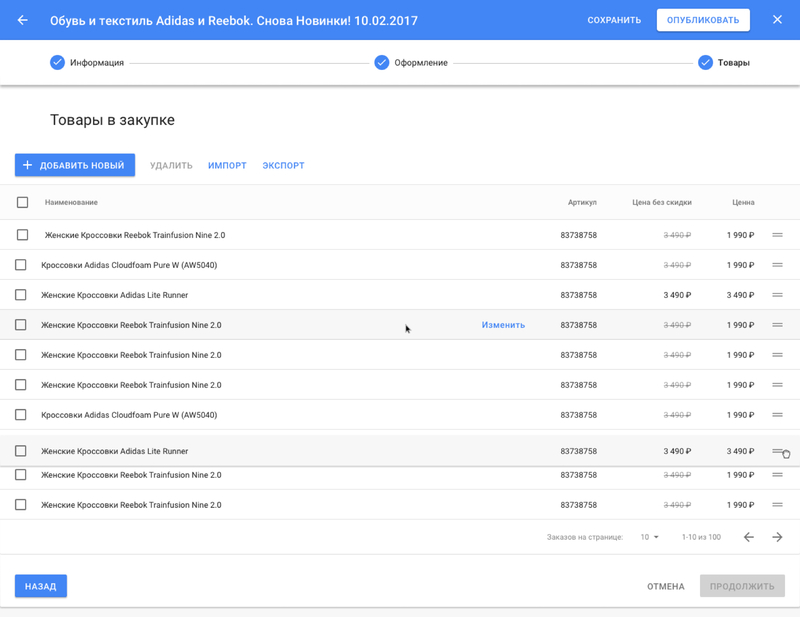 That is why we implemented such features as keyboard shortcuts, easy-to-use management tools, and both import and export of the items from an Excel file. Being aware if the ordered items remained in stock is of a great importance for the moderators. 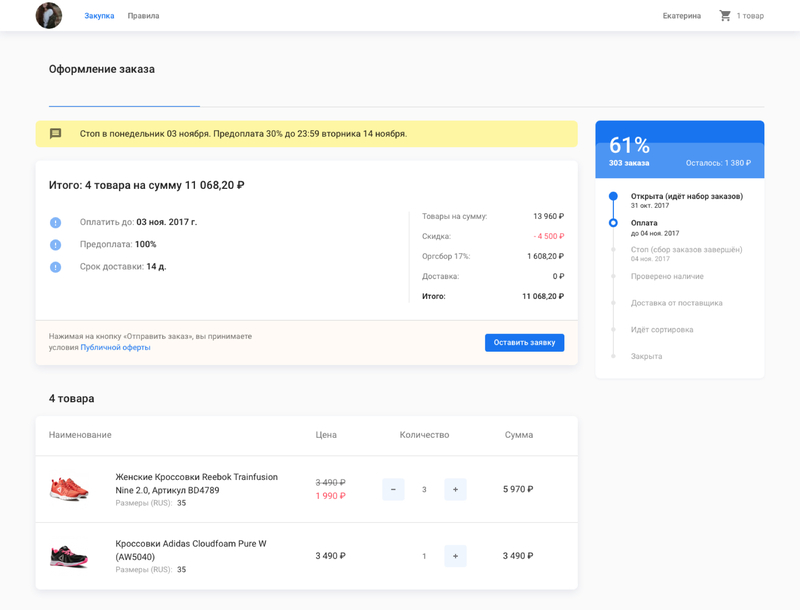 That is why we created a tool for importing and exporting of the orders and two ways of managing the statuses of the applications: according to the items available in stock and the existing orders of those. 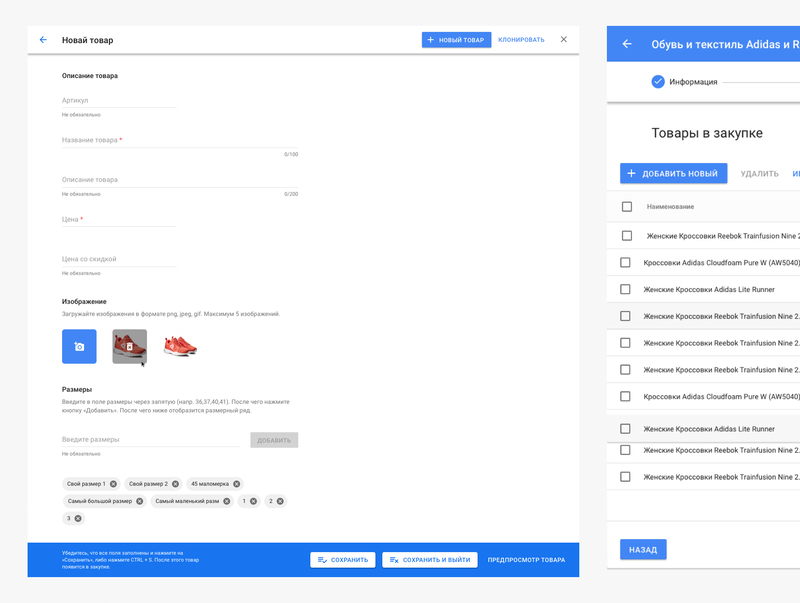 The first one made the process of customer support and communication convenient and clear whereas the second one helped ensure the availability and quick marking of those that were either in or out of stock at the supplier. It is essential for moderators to notify the participants about the news and updates of a specific deal in a timely manner. In order to simplify this process for a moderator, we created it in a way that would allow him/her to send direct messages to the Vk profiles of participants. Those are being sent from the name of a specific collective buying group on Vk. Sometimes, it is more fundamental to release the product fast than create a flawless design and fun animations. Vk-Pokupki was a case like that. 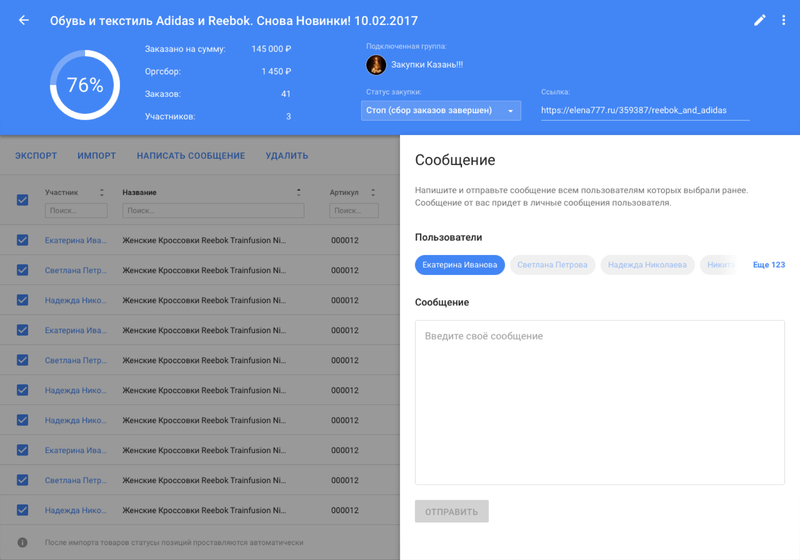 Thus, we decided not to create a mobile version of the backoffice as well as built it without using any complex features. The result ended up being exactly the way it was planned: the service was easy-to-understand as well as worked well for testing hypothesis, and its further development and improvement.